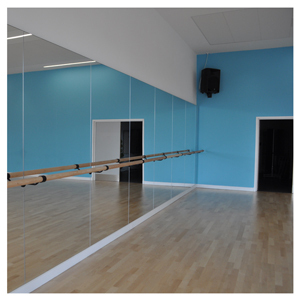 Our unique Integra System is specially designed and installed to provide a seamless wall of mirror with the appearance of a floating ballet or pilates barre. Integra provides the user with the maximum mirror reflection possible, ensuring every movement is seen. 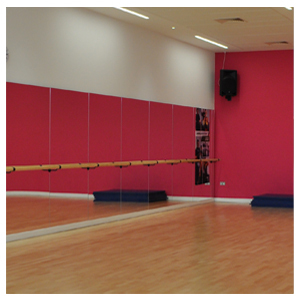 Provides a seamless wall of mirror with the appearence of a 'floating' barre. There are no gaps between mirrors giving maximum mirror reflection. 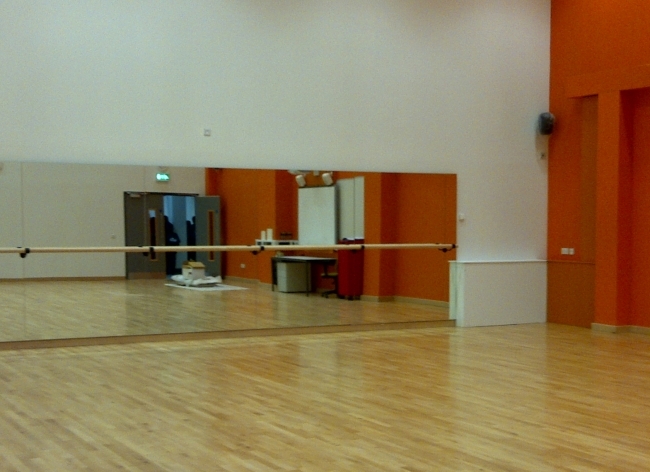 The barre can be installed at any height required. Available with either single and double barre. 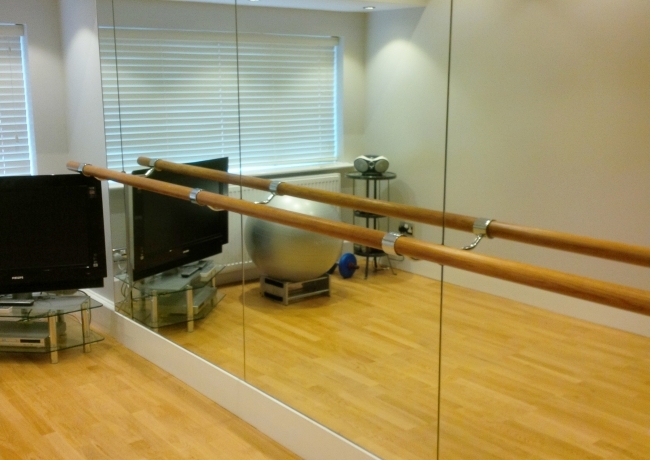 Can be installed for either ballet or pilates/fitness use. Mirrors have polished edges - no unslightly trims required. Guaranteed to give years of use.